My boys are learning to tell the time at the moment. 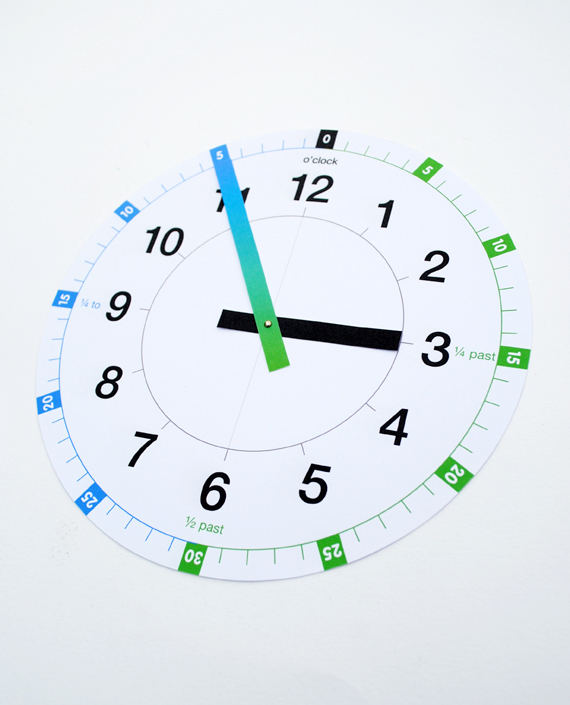 I tried to find a printable ‘learning clock’ online, but struggled to find a decent one, so it seemed like a good idea to make my own. There are two different versions. There’s a green and blue one (to help understand ‘minutes-past’ and ‘minutes-to’). 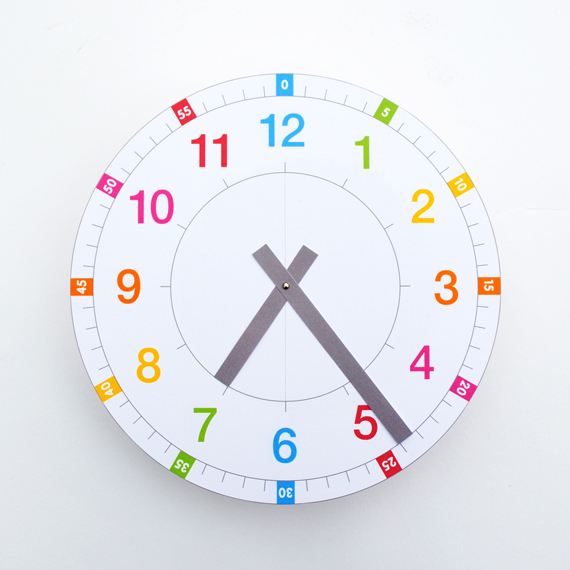 There is also a standard clock (one in rainbow and one in black and red). As, usual printable files are at the foot of the post. 1. Print out the pdf. Set your printing preferences to ‘photo’ or ‘best photo’. 3. Cut out the ‘minutes’ and ‘hours’ hand. 4. Using a compass point pierce a hole in the center of each of the crosses. 5. Join the hands and the face together using a small split pin. Very useful indeed !! thank you very much for sharing !! Perfect! Mine all struggle with telling the time! Mine too – I’m blaming it on the digital age! I think the Minutes Past/Minutes To clock is perfect as it is. 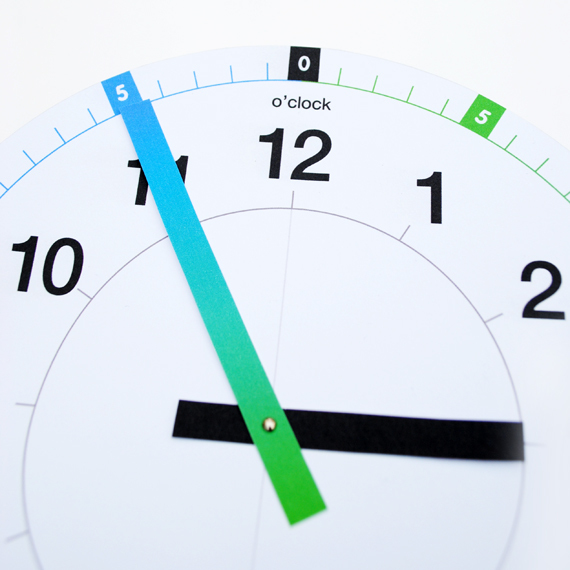 The rainbow clock would be useful when learning about the differences between analogue and digital time – would there be some way to include 24 time on the hour circle? And I would perhaps change the colouring slightly so that 5 and 55 are the same colour, 10 and 50 the same etc, so that the correlation between past and to can also be seen clearly on this clock face. Thanks for the great comment Meg. When I get a moment I’ll put together a clock with 24hr digits on. Wow- this is exactly what I was looking for, thank you so much for sharing! We printed out the rainbow clock with minutes and are laminating it- hopefully it makes it through teaching two kiddos how to tell time! This is great – such a simple idea, but so well done, thank you! I am a veteran first grade teacher, and must say that this is MUCH superior to most “learning clocks” I have seen. I like both of them, for different reasons (which is why you made them both, I am sure!). 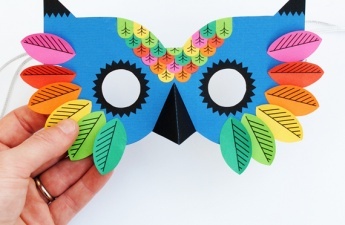 The one thing I think is the absolute KEY to helping young learners figure out this often-tricky skill is making sure they have a strong understanding of which hand is which–not just a wild guess. Your clock makes this pretty easy. I always explain to my kiddos that the long/minute hand is LONG because it’s job is counting the minutes, which are on the outer ring of the clock’s circle (i.e., that hand doesn’t actually point to the 1-12 numbers). It’s very helpful when the long hand is the same color as the minute “ticks” and the short hand is the same color as the numbers 1-12 (which are what it tracks). I love how nicely your hands reach perfectly to the parts of the clock they track. Nice work! Thanks! Hi Deborah, thanks for such a kind comment. It’s great to hear from a first grade teacher. Praise indeed! Totally agree on what you said with regard to matching the colours. I actually think the red and black one is the clearest and that’s the one my kids have been using. What a great clock you have made. I work in a school and was making card clocks with some children last week. We wrote hours and minutes on the hands to help remember which was which, but your idea with the concentric circles is much smarter. aaaw so lovely of yours to made a learning clock for your son, my mother had made one for us kiddo’s as well, of fabric with inside cartboard, She embroidered the numbers on it. Thanks so much. Love all your postings. I am going to print out one for each of my two granddaughters who are coming to celebrate Christmas in 3 weeks. One is 11 and the other 9. Best clock ever! I am teaching telling time right now and this will be so helpful. I never thought of placing the hour numbers inside like that. Brillant. Thanks so much for sharing. Absolutely perfect, thank you! I am a student teacher on a placement in Year 1 and these are exactly what l was looking for. Thank you for sharing this fantastic resource. My students will be very happy to have their own clocks during lessons. Thanks very mush for the great clocks. Perfect for my 7yr old to work out what “past” and “to” is all about! I didn’t have a split pin , but instead I hot glued half a cork onto the back and used a drawing pin through the front to hold the hands. Works great, hands spin nicely and the cork makes a great hand while I explain and move the hands for my son. Thank you so much for sharing. I am sure we will have plenty of fun. Great to be in contact with others who love learning. Thanks again, from a small homeschooling family in Spain. Thanks for sharing such a good idea. I can now make a simple clock for my baby without buying a protractor. Thank you so much for creating this clock craft. It’s so perfect for my French EFL class of 8 yr.olds. They will be learning to tell the time tomorrow morning, so I found this just in time! I live in Switzerland. wonderful job . . . very surprised that it was free to print it ! Thank you very much for sharing your practical clocks. Thank you very very much.. was teaching time and found this clock simple and amazing.. I teach first grade and have been looking at printable clock for years. 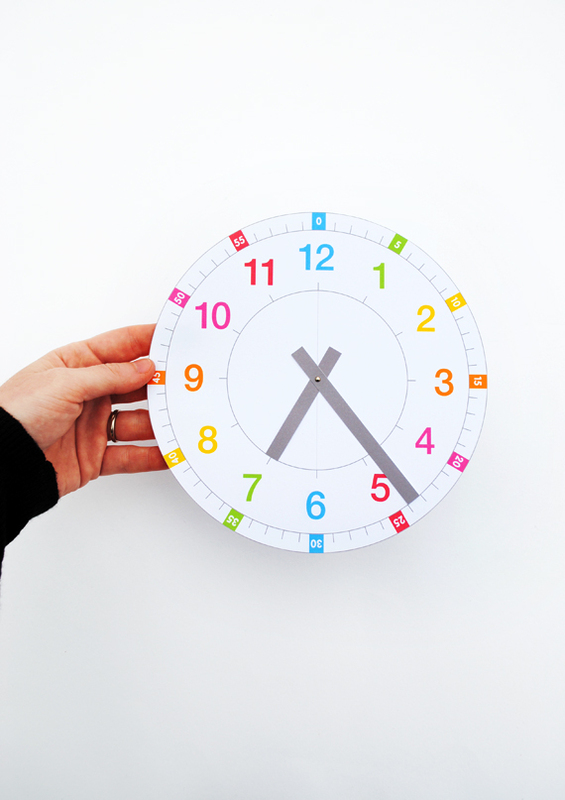 This is by far the best printable clock I’ve seen! I love the length of the hands, the words 1/2 past, 1/4 to etc. Great job! Fantastic! So elegant, clean, and uncluttered. The only problem is the school brackets. They are big and the whole punch looks like it will barely squeeze between the hands of the clocks. Thank you. This is brilliant. Thank you so much. Thank you so much, these are amazing! One of my son’s goals this summer is to learn to tell time. I’ve been searching all over the place for how to do so and what tools to use and this is EXACTLY what I was looking for. We have a little laminator at home, so I’m going to laminate it to make it more durable. Thank you SOOO much! Thank you very much ! It’s very nice. 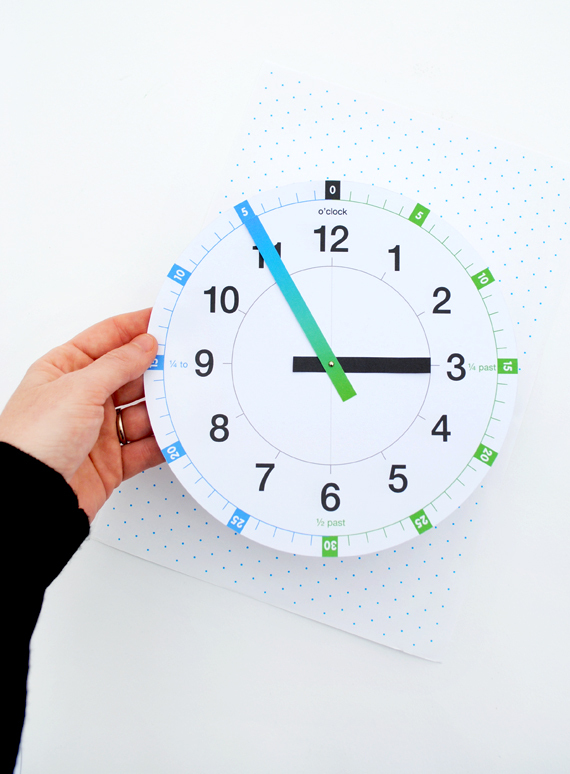 Would you mind if I repost your free printable clock on my FB? Thank you for share this. I am looking something for teach my preschooler about time. 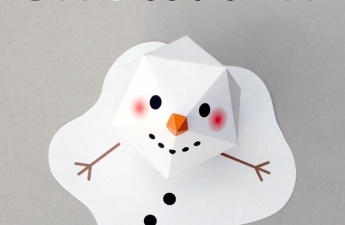 Found this printable and it is so wonderful. 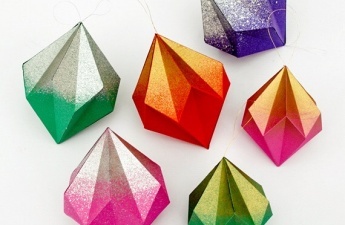 Color is beautiful and my kids love everything rainbow color. I had a questions when printing though. Do you know why my computer changes the fonts when I print it on a thicker card stock instead of regular paper? 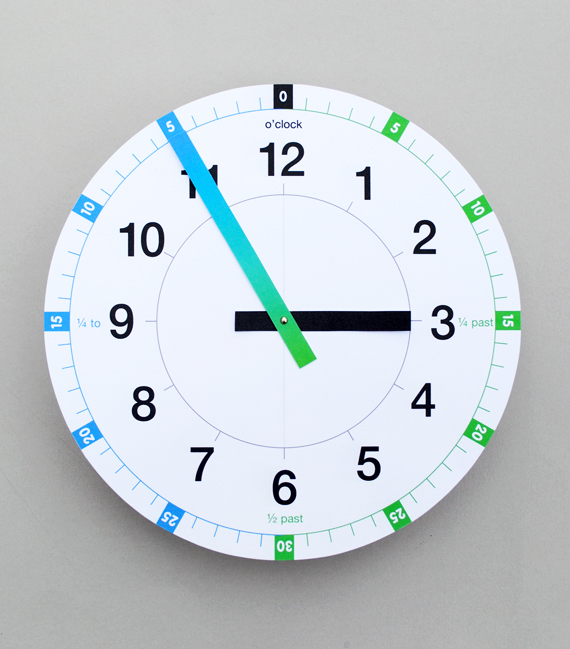 I have tried to print the clock several times and each time I print it on cardstock, it changes the font. Thank you!!!! GRAZIE!!! bellissima e fantastica idea! con questo pdf sarà più semplice spiegare l’orologio a mia figlia. complimenti! Thanks for your work. It is beautiful. Hopefully my granddaughter will finally be able to tell time. Thank you very much for sharing this useful tool! Thank you. Just what I was lookling for now the grandchildren have coem to live nearby. This is amazing. I have just learned that it is not part of our school districts curriculum to teach time anymore. This will make teaching my 5 & 8 year olds so much easier! Thank you for sharing this. Great…better than anything I could buy! Thank you so much for sharing. Beautiful clocks! I’m a homeschooling mother to 5 children. These are perfect! I’ll use the rainbow clock for my early elementary learners, and the past and to clock with the later elementary learners. Thank you so much for this printable. Hi from Germany. This is great and thank you .